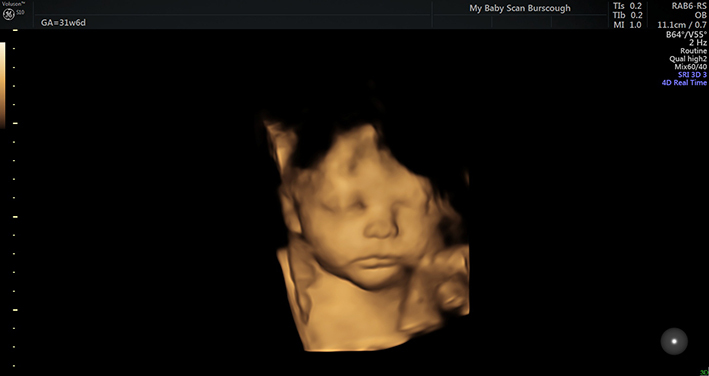 My Baby Scan Burscough has been established to provide high quality antenatal ultrasound services, performed by fully qualified NHS sonographers with many years of experience. We offer antenatal scanning services and offer a variety of packages from 6 weeks of pregnancy through to term. Scans range from a reassurance / dating scan from 6 weeks, wellbeing / gender scans from 16 weeks and 3D /4D scans from 24 weeks together with growth and presentation scans which also give an estimated weight of baby. We also offer Non-Invasive Prenatal Testing (NIPT) from 10 weeks of pregnancy. Our state-of-the-art clinic is modern, spacious and bright, with a wall mounted TV screen in the scan room to see baby. We welcome family and friends to share this exciting experience, which is also perfect for siblings to meet their new brother or sister. My Baby Scan Burscough aims to be the ‘Baby Hub’ of Burscough and besides scanning, we are now offering Baby Massage courses and antenatal massage by our experienced therapist. See our website for more information and Facebook for competitions and special offers. My Baby Scan Burscough is registered with the Care Quality Commission (CQC) and all sonographers are registered with the health and Care professions Council (HCPC).